Every Sunday, as well as on Easter Saturday and Easter Monday, jazz and swing groups perform in front of the Easter Bunny Workshop for the enjoyment of visitors. Market guests can enjoy the spring-feeling while listening to the music with free admission. 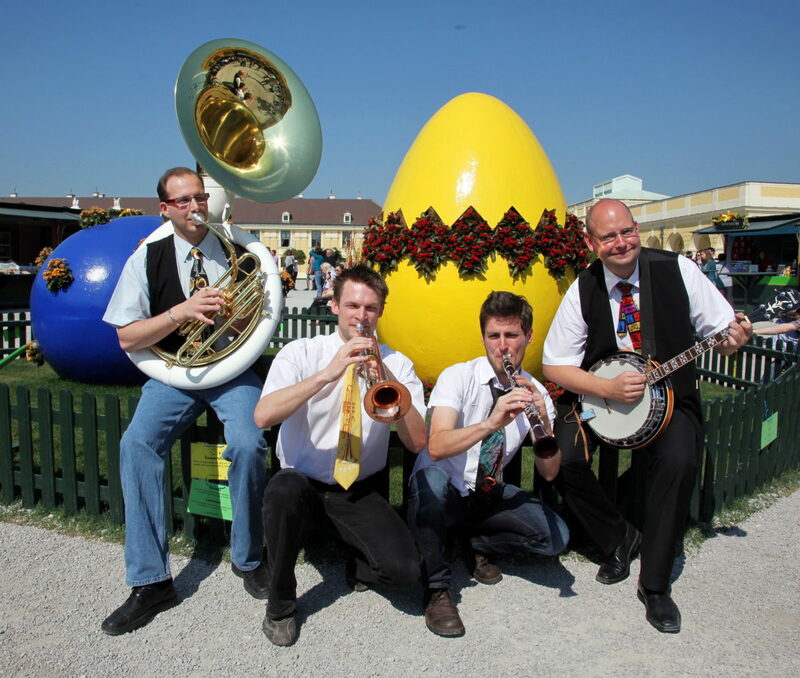 All performances take place from 11 a.m. to 1 p.m.
Music groups are very welcome to send their applications for the Easter Market Schloß Schönbrunn 2020 to Ursula Steiner (u.steiner@mts-wien.at).